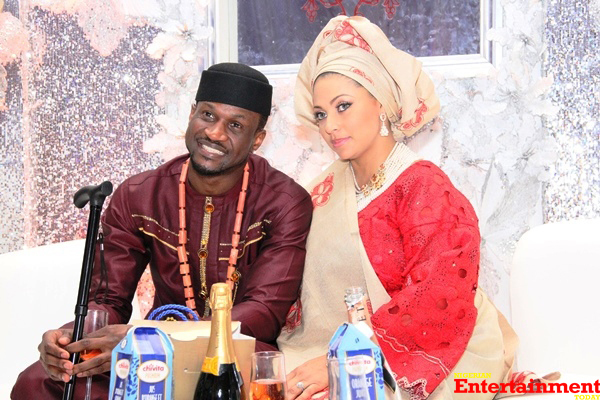 Peter Okoye’s Wedding Vow To Lola Omotayo: Shortest In History? On Sunday November 17th, 2013, Peter Okoye of Psquare married the mother of his two children, Lola Omotayo in style at the Ark Event center in Lekki, Lagos State Nigeria. Sources in the know claim his family are not in support of the relationship from day one and that is what delayed their wedding up till now. Read more on the saga. Peter Okoye’s wedding vow to Lola Omotayo has been tagged the shortest in Nigerian wedding history. ‘I am very excited today because I am getting married to a very wonderful woman. She is a very strong woman who has stuck by me through it all. I know she will make me a happy man’. Do you think this is indeed the shortest wedding vow ever?